India’s Finance Minister Palaniappan Chidambaram says the government is taking a host of measures to boost capital flows and stem the rupee slide. “The government is continuously monitoring the emerging external sector developments leading to higher CAD [current account deficit] and rupee depreciation,” Chidambaram said in a written response to the upper house of the Indian Parliament. 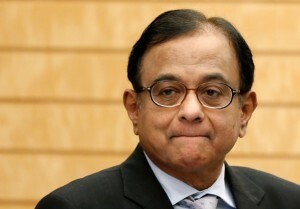 Chidambaram said the government has taken a number of initiatives to boost exports and reduce imports, encourage capital flows to facilitate financing of the CAD and stem the volatility in the exchange rate of India’s currency, which has lost over 16 per cent since April. To support the rupee, the government is “raising the rate of interest subvention from two to three per cent” benefiting exporters and small and medium enterprises as well as hiking the import duty on gold and liberalising foreign direct investment, said the finance minister. The rupee made a strong recovery after the announcement of pro-reforms Raghuram Rajan as the new governor of India’s Central bank who said on Tuesday that more steps will be soon be taken to stabilise the rupee. The rupee erased all losses and ended higher at 60.77 per dollar yesterday. India’s current account deficit has declined 3.6 per cent in the January-March quarter from 6.5 per cent in the previous quarter of 2012-13. For the full 2012-13 fiscal year, the CAD worked out to 4.8 per cent of GDP, or $ 88.2 billion. India’s Minister of State for Finance Namo Narain Meena said the rupee depreciated significantly in the second half of 2011-12 owing to the impact of the eurozone crisis on the Indian forex market.